The 7th Le Mans Classic will take place on July 4, 5 and 6. Richard Mille will once again be there as Main Partner and Official Timekeeper of the race. Richard Mille has supported this competition since the very first event in 2002. As a tribute to this exceptional race, Richard Mille has introduced a limited edition watch, the RM 030 Le Mans Classic, the fourth piece to carry the name of the competition. It is fitting that a company like Richard Mille, famous for their cutting-edge technology are linked to this legendary race meet. The RM 030 LMC also has a 24 hours display placed at 2 o’clock. The indication “16” references to the depart time of the endurance race, is a discrete homage to the event. Seen it all before? 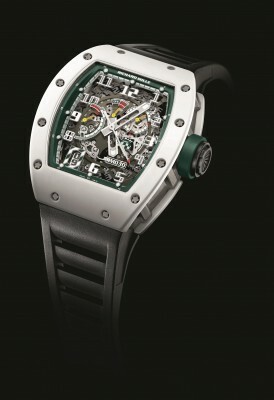 Well, to be honest I am finding it more and more difficult to get excited when I see a new Richard Mille release. I am a huge fan of this brand however I would love to see something different coming to the market. Obviously if something works then you stick with it, however, a wider fan base would reap great rewards for this watchmaker and bring it a wider audience, and deservedly so.